Te Pari is a global market leader in safe, efficient and seamless livestock handling solutions backed with trustworthy customer support. Kojonup Agricultural Supplies has been appointed by Te Pari as their exclusive agent in Western Australia to promote, service & sell their complete livestock handling solutions, including their Racewell Handlers. Te Pari understands how tough it is to work the land and appreciate how dangerous it can be working with livestock. They have developed products for farmers from around the world for the last 25 years. Te Pari is committed to providing hard-working, innovative farming equipment that’s guaranteed to last, saving you time, money and stress. Te Pari’s innovation and professionalism has seen the company move into a growth phase around the world. 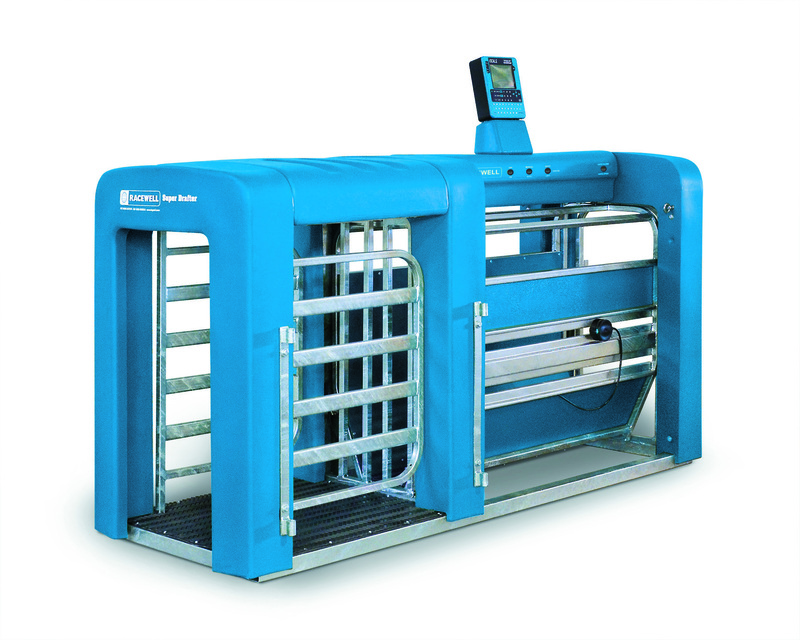 Te Pari’s seamless solution includes the handler or crate, weigh scales, EID reading equipment and livestock management software. Te Pari is the first manufacturer globally to pull all these vital components together and to be able to supply this package direct to the farmer. Click here to visit the Te Pari website and find out more! The Super Drafter has been designed for farmers who want a simple weighing and drafting machine without the full handling capability of the top-of-the-line Racewell Super Handler. The Super Drafter still utilises the popular ‘magic eye’ and radio remote control technology that provides flexible setup and handles simultaneous weighing and drafting with ease. The four-button radio remote control on the control box operates every function of the handler while the magic eye optical sensors control the opening and closing of the gates, allowing flexible positioning for different situations. If the user needs to interrupt the auto-cycle for any reason, they simply put the machine into hold mode, check or tag the animal, release it, and resume auto-drafting with the touch of a button. The modern, sleek design of the Racewell Sheep Drafter includes a strong steel frame. Plastic guards cover the working areas of the machine and keep all electronics and wires safely hidden and out of harm’s way. The guards provide the machine with modern clean lines and are easily removed for service when required. One of the product’s most innovative features is the integration of weigh cells into the main frame of the unit. This keeps the weigh cells and electronics above the animals and well away from any dirt build-up around the bottom of the machine where load cells are traditionally located. Because the weigh cells are integrated into the machine, a set of standard loadbars is not required. The flow of the sheep is also enhanced with the Racewell Sheep Drafter. Its unique, open crate design allows in plenty of external light so the sheep won’t suffer from a closed-in feeling. The super quiet fast-acting entry and exit gates on the machine also minimize the animals’ stress. The well respected Racewell brand has been around since the early 1980s when it was founded by a New Zealand farming couple Robin and Carol Fagan. In 2011 its livestock handling division was acquired by Te Pari Products which is based in Oamaru in the South Island of New Zealand, where all manufacturing is now carried out. The multi-purpose design means the handler can be upgraded at any time from the basic, economy model with three-way drafting gates for manual drafting, to the fully automated Racewell HD3 Sheep Handler which can draft automatically by weight or EID. The top-of-the-line livestock handlers also have adjustable sensors that ‘catch’ the stock in the preferred position depending on animal size and task. With the antenna for the EID reader built directly into the clamp wall, ear tags are accurately read no matter where the animals are caught in the machine. Blampied says the robust, easy to operate Racewell handlers also reduce strain and injury to the farmer, who could “work a Racewell all day and still climb into their tractor the next morning”. 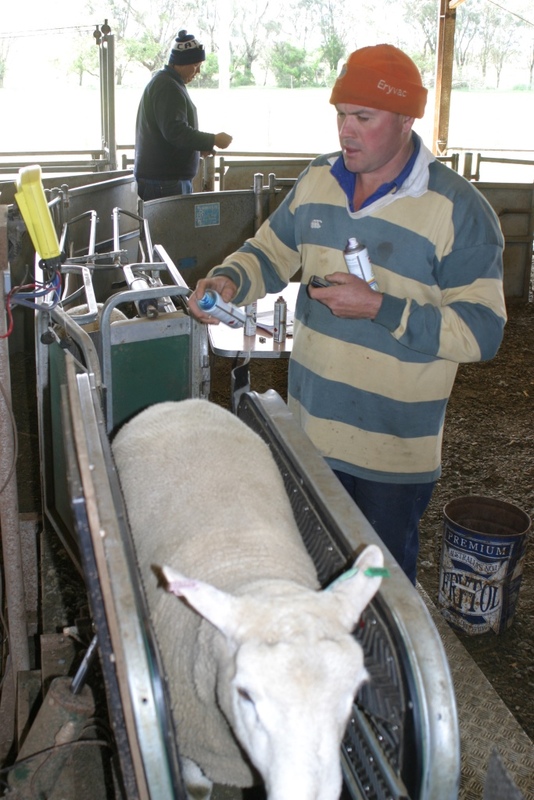 Optional extras include a hot tip galvanised trailer for moving the Racewell system around the farm; side tilt option that allows the clamp section to tilt up to 90 degrees for easier crutching; and the Dagger’s Mate handpiece for dagging. He says Te Pari continues to streamline its manufacturing process through the use of robots and other new technology, and is always looking at the next product innovation.